The Christmas lights continue to shine brilliantly in St Marys. 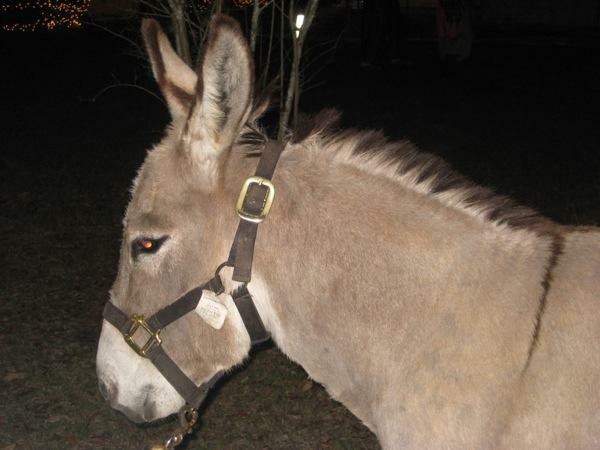 On Tuesday evening all of the local churches gathered to perform the town’s annual Live Nativity. We joined Scott and Kim for the event which was quite a production! 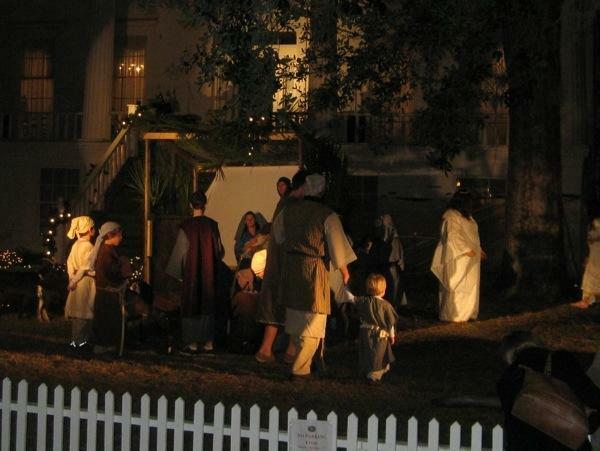 The location, in front of Orange Hall, was beautifully decorated with white lights and a barn and manger scene. Osborne Street was closed and bleachers were provided to sit and watch the show. The Nativity was narrated and the actors and actresses, adults and children, played their parts magnificently as shepherds, angels, wise men, and of course the all-stars Joseph, Mary, and Jesus. The nativity story was acted out twice; between there were musical numbers performed by carol singers and instrumentalists. But nothing really captivates the warm fuzziness of the holiday season quite like adorable, cuddly (but not actually friendly) goats, sheep, and donkeys! These special guests were the highlight of my evening as Brian, Scott, and Kim can attest to. 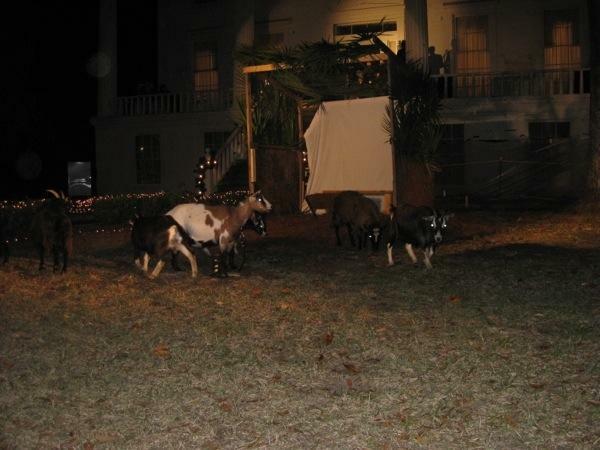 I was giddy watching the goats scamper when the audience clapped. They head-butted one another occasionally and stood at attention at the most appropriate times. The little shepherd boys discreetly poked at the goats with sticks while pretending to listen attentively to the angel proclaim the holy baby’s arrival. 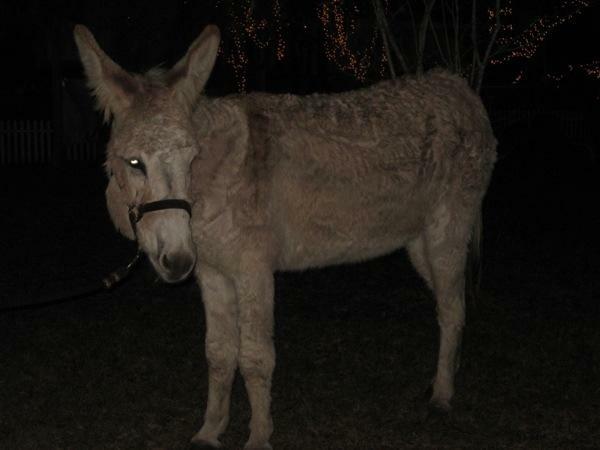 The donkey did a fabulous job of halting mid-entrance and also halting mid-exit as Mary and Joseph walked alongside. St Marys truly has Christmas in the air!